My name is Natalie M., I am a sophomore at James Madison High School in Vienna, Virginia, and I have been a member of Y Street – Virginia’s biggest youth-led movement – for almost 2 years. During that time, I have collected public opinion surveys and support cards for the (dis)tasteful campaign with the goal of creating a world without flavored tobacco. I strongly believe in this campaign because I see the effect that flavored tobacco has on the people around me. I am hoping to raise awareness through this campaign in my community, especially with teens my age because they are the future of my community, but also they are the most likely to be influenced by these dangerous tobacco products. 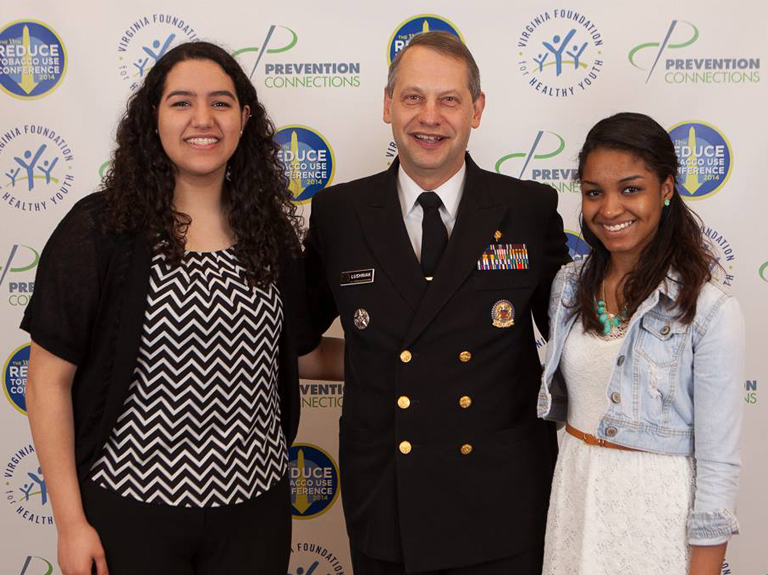 I participated in the Reduce Tobacco Use Conference, a nationwide conference focused on tobacco use prevention, hosted in Washington, DC by the Virginia Foundation for Healthy Youth on April 10. This year, Y Street presented the results of our (dis)tasteful survey for the first time nationwide. The report discusses how appealing people think these tobacco products are, the knowledge people have of flavored tobacco products, and the usage of flavored tobacco among Virginia residents. Y Street members collected more than 6,000 surveys from 142 cities all over Virginia. Our findings were very interesting. And overwhelming majority of Virginians (86 percent) think flavored tobacco products are more appealing to youth that non-flavored tobacco products. Almost 7 out of 10 respondents (69 percent) support extending the current federal ban on flavored cigarettes to all tobacco products. The (dis)tasteful Survey Report also contains important information about youth and flavored tobacco. Youth (respondents under the age of 18) overwhelmingly reported they were more likely to try flavored tobacco products than non-flavored tobacco products. Even youth who never even tried tobacco products reported being more likely to try a flavored tobacco product than a non-flavored product, which shows how appealing flavored tobacco is. When asked to compare flavored tobacco to non-flavored tobacco, 24% of current youth tobacco users and 25% of adult tobacco users responded that flavored tobacco is probably or definitely safer than regular tobacco. Also, 22% of youth tobacco users and adult tobacco users think that cigars and cigarillos are less harmful than cigarettes, and 42% of youth tobacco users think that hookah is less harmful than cigarettes. All these results show how oblivious people are of the harm caused by flavored tobacco. Many people were shocked at the results of the survey. They did not realize just how appealing the wrapping and flavors of these tobacco products can be. They also didn’t realize how much these things could affect people’s choices. Many people were very excited to be able to ask me how we can help make more teens aware of the harms of flavored tobacco. After the presentation, I helped my fellow Y Street members to raise support for (dis)tasteful and a world without flavored tobacco by asking conference attendees to fill out support cards for the campaign. I enjoyed collecting support cards and talking to people about the campaign because most people there were so interested to hear from a teenager about this important initiative. Additionally, I had the honor of meeting some very influential people, including the Surgeon General of the United States, Boris Lushniak, and FDA Center for Tobacco Products Director, Mitch Zeller. Getting the opportunity to meet Dr. Lushniak and Director Zeller was amazing. I shared my story and experiences working on the (dis)tasteful campaign with both of these individuals. They both showed great support and interest for the cause. As a youth activist this was really important for me to see. Youth activism is very important to me because no one will understand the mind of a kid better than another kid. They motivate and inspire each other to do better or to do worse. Raising awareness is very important to me because I want to motivate my peers to do better. I want to see a healthier future for people and I want my peers to help my community create that. Also, showing adults that teens care about their health and causes like tobacco prevention makes adults want to invest in helping end this problem. Natalie is a sophomore at James Madison High School in Vienna, Virginia and an active member of Y Street, a program of the Virginia Foundation for Healthy Youth.